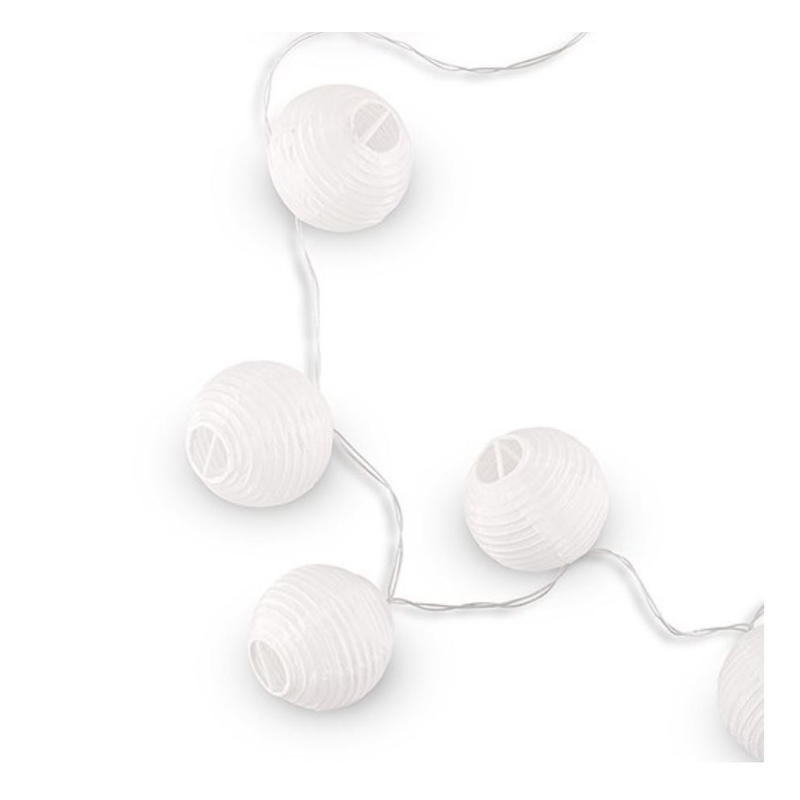 Mini white paper lanterns that work with battery powered LED lights. 3 AA batteries are required, which are not included. Includes 10 lights. Measurements include: Strand: 54' (L); Spacing: 4.7' (L); Shade: 2.8' (Dia.). String lights are all the rage now when it comes to wedding and other celebration decorations. Paper lanterns carry powerful symbolization. Though used for different reasons throughout history in various parts of the world, they hold a commonity of honoring joy and celebration. These lanterns, strung together by wire, provide subtle but warm lighting to the event. Hang up these lights all around your event for a warm, inviting, momentous occasion.